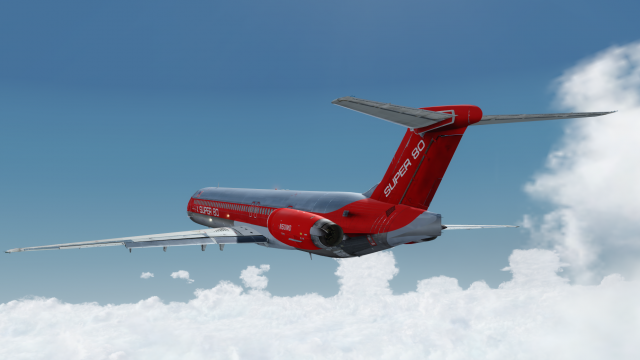 Pour les pilotes de Fly The Maddog X, une nouvelle mise à jour version 1.0.4 est disponible pour le patcher. Quelques problèmes techniques et risques de retour au bureau sont corrigés, et la prise en charge d’autres logiciels est intégrée. Voyez ce récapitulatif pour les détails completsfull details. – fixed random CTD selecting a DTO INT in the FMS. – fixed random CTD selecting SID/START in the FMS. – fixed missing waypoints on FMS. – fixed jetway not attaching correctly to the main exit door. – fixed issue when defining ’toggle’ custom keyboard/joystick events. – fixed minor issues on external model’s attach points and texture mapping. – increased size of the Load Manager UI for 4K res desktops. – added support for vPilot/SB4 (via SimConnect). – improved LNAV and LOC tracking. AIRAC 1803 is out, remember to update it if you own a Navigraph account. Fly The Maddog X will be added to PRO-ATC/X as supported panel with the next update. FMS flight plans will be produced by PRO-ATC/X so they are going to be selectable via Co-Route in your FMC. SID/STAR/Approach/Transitions/Runways have to be selected by user.